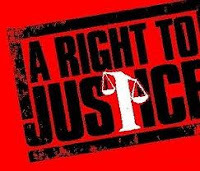 Addendum 14th June: UK Human Rights blog - "Government has still not made case for 'inherently unfair' secret trials, say Special Advocates"
Addendum 6th June: A further post on UK Constitutional Law Group blog - "Where is the 'Justice' in the Justice and Security Bill?" by barrister Tom Hickman of Blackstone Chambers. "... it is hard to view the Bill in any way other than as a “win win” for the Government. Secrecy is absolute and scrutiny is in its gift. As drafted, the Bill seriously and needlessly exacerbates the departure from equality of arms that is already inherent in the proposed use of CMP in civil claims." Addendum 5th June: A post on the blog of the UK Constitutional Law Group raises further points about this Bill - "The Justice and Security Bill: Some Serious Concerns" - Hayley Hooper, Lecturer in Law at Trinity College, Oxford ... and also see UK Human Rights Blog - post by Adam Wagner - "Criticism remains as dust settles on secret trials bill." Joint Committee on Human Rights 24th Report of Session 2010-12 The Justice and Security Green Paper and the Government response to the 24th report – here. Also, Government’s response to the Green Paper Consultation and memorandum on human rights issues arising from the Bill. The Justice and Security Bill - (see also Explanatory Notes) - is the coalition government's attempt to implement certain aspects of the Justice and Security Green Paper. The previous post on this blog looked at Part 1 of the Bill dealing with Oversight of the Security services. Part 2 of the Bill - "Restrictions on Disclosure of Sensitive Material." - is the subject of this post. When looking at the Bill, certain definitions are important and are addressed in Clause 11 (Interpretation) which contains Henry VIII powers to enable courts or tribunals to be added to those in which Closed Material Procedure (CMP) may apply. I think that there is a possibility that this power could be used to bring, for example, Coroner's Courts within the remit of CMP. There seems nothing in the Bill, legally speaking, to rule it out. Time will tell. Legislative legerdemain? Possibly !! The Supreme Court has ruled that the request by the Swedish prosecutor for the extradition of Mr Julian Assange was lawfully made - see Judgment and Press release. For the purposes of the European Framework Decision creating the European Arrest Warrant system and for the purposes of the Extradition Act 2003, the term "judicial authority" included a public prosecutor. The decision was 5 to 2 with Lady Hale and Lord Mance dissenting. 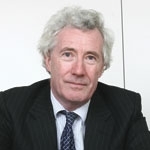 Lord Phillips only read out a short statement of the court's decision in which it was stated that there was a need for the term judicial authority to have a uniform meaning throughout the European Union. 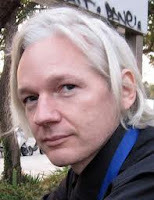 However, an interesting twist to the case came when, after Lord Phillips announced the court's decision, Dinah Rose QC (counsel for Assange) argued that the majority appeared to have based their decision on the Vienna Convention on the Law of Treaties and that this had not been argued in the appeal. Rose therefore requested that she be given time to consider the detailed judgments and to consult her client and then to possibly apply for the appeal to be re-opened. A period of 14 days was allowed. Addendum 31st May: The Head of Legal blog has been looking at how this case might develop given the "Vienna Convention" point raised by Dinah Rose QC. 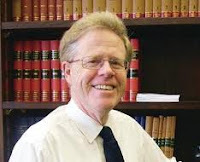 See Carl Gardner's posts of 30th May - "Supreme Court judgment: Assange v Swedish Judicial Authority" and "Could Assange apply to set aside the Supreme Court judgment." There is also further discussion by Joshua Rozenberg at The Guardian 30th May - "Julian Assange's extradition stayed thanks to quick legal footwork." Update 4th June 2012: On the Paul Chambers case see New Statesman article reporting that a fresh appeal will be heard on 27th June with the Lord Chief Justice presiding. The much awaited Justice and Security Bill which has finally been published. This post also looks at the medieval relic of "Law terms" though "terms" is the wrong term! Also, Divisional Courts in the High Court; the "Twitter Joke" case; and the imminent Supreme Court judgment in the Assange case. The Justice and Security Bill has obviously been in preparation for some time but has now been published - see Bills before Parliament - Justice and Security Bill. A sticking point within the coalition government seems to have been whether inquests in Coroner's Courts should be brought within the remit of the Bill. Very soon, I hope to write a post containing a detailed look at the Bill. The UK Human Rights blog is "on the ball" this morning and has published a post linking to various resources which will assist with analysis of the Bill. See also the earlier Law and Lawyer posts concerning the Justice and Security Green Paper. The fact that this matter has gone straight from Green paper to a Bill shows the importance being attached by the government to getting this highly controversial Bill into law. Keeping Coroner's Courts out of the scope of the bill will avoid the thorny idea of vetted juries. I cannot imagine that everyone in the present government will be happy about keeping inquests out but the idea of security vetted juries would surely have proved to be unacceptable - see CharonQC - Fancy being a secret juror and be subject to VERY THOROUGH vetting by MI5 and MI6"
Whilst on the topic of inquests, the Home Office has issued a progress report relating to recommendations made by the London Bombings Inquest of 7th July 2005. In January 2011, the Home Secretary claimed that certain material was subject to Public Interest Immunity (PII). 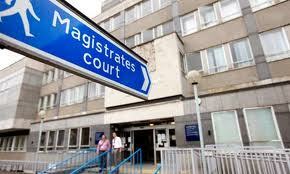 The Criminal Justice Act 1988 s.36 - (1) If it appears to the Attorney General - (a) that the sentencing of a person in a proceeding in the Crown Court has been unduly lenient; and (b) that the case is one to which this Part of this Act applies, he may, with the leave of the Court of Appeal, refer the case to them for them to review the sentencing of that person; and on such a reference the Court of Appeal may - (i) quash any sentence passed on him in the proceeding; and (ii) in place of it pass such sentence as they think appropriate for the case and as the court below had power to pass when dealing with him. Outrage !! Unelected Euro Judges trampling on our democracy ! Media Outrage - Much of the popular British media has expressed outrage at the European Court of Human Rights Grand Chamber decision in Scoppola v Italy - (discussed in the previous post). The Daily Mail sees the decision as "Contempt for our democracy" - "European judges rode roughshod over British sovereignty yesterday by ruling that prisoners must be allowed to vote. In a devastating blow, they rejected last year's overwhelming vote by MPs for maintaining our historic blanket ban on voting by convicts. The unelected judges instead gave David Cameron six months to obey their diktat or risk having to pay £150 million in compensation to killers, rapists and other prisoners." The Express - Prisoners to be given the vote - "The meddling Strasbourg court said a blanket ban on inmates in England and Wales voting was unlawful." As was said in another case, Strasbourg has spoken ! 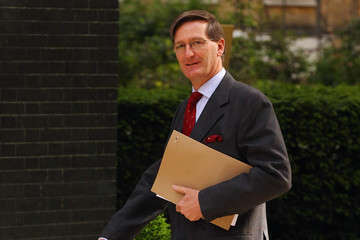 ("Argentoratum locutum" - per Lord Rodger in Home Secretary v AF No.3 at para 98). This time, the Grand Chamber of the European Court of Human Rights has handed down judgment in Scoppola v Italy No.3 which this blog recently considered and argued that - "Perhaps the most likely outcome is that the essentials of Hirst will survive but the court will give greater guidance as to the factors to be considered in deciding nationally where the line should be drawn between those prisoners to be allowed a vote and those who are not." 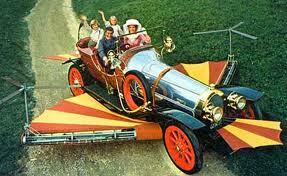 The MoT Test has been with us since its introduction by the late Ernest Marples MP (1907-1978) in 1960. Sections 45 to 48 of the Road Traffic Act 1988 provide the legislative basis for MoT testing. The purpose of the MoT test is to ensure that cars, other light vehicles (including some light goods vehicles), private buses and motorcycles over a prescribed age are checked at least once a year to see that they comply with key roadworthiness and environmental requirements in the Road Vehicle Construction and Use Regulations 1986 and the Road Vehicle Lighting Regulations 1989 (both as amended). 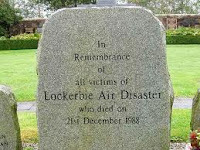 21st December 1988 was the day when Pan Am Flight 103 - a Boeing 747 en route from London Heathrow to New York - was destroyed by explosive devices which detonated as the aircraft, flying at Flight level 310 (31,000 ft) , approached the small Scottish town of Lockerbie. A great deal of information about this event may be read at Pan Am Flight 103 (Wikipedia). In all 270 people were killed: 243 passengers, 16 aircrew and 11 persons on the ground in Lockerbie. The UK Air Accident Investigation Branch (AAIB) conducted an investigation into the causes of the accident and published their report in 1990. Subsequently, a trial was held at Camp Zeist, Holland. Scots criminal law applied. Two men were accused: Abdelbaset Al Mohmed Al Megrahi and Al Amin Khalifa Fhimah. The trial was conducted by three Scottish judges (Lords Sutherland, Coulsfield and Maclean) and was heard without a jury. Al-Megrahi was convicted of murder. Al Fhimah was acquitted. Scottish Government: See the statement by Scotland's First Minister and also links to various materials connected to the return to Libya of al-Megrahi. 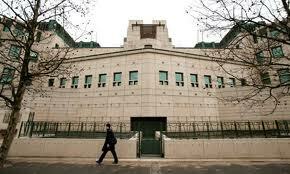 The latest speech, relating to Foreign Affairs, is considered by Joshua Rozenberg writing in The Guardian 16th May - "If Sumption has his way, courts will hold foreign secretary to account." 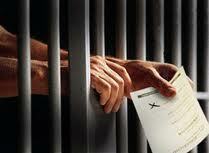 Prisoner Voting - Scoppola v Italy - Will prisoners finally have to be granted the right to vote? The European Court of Human Rights has announced that, on 22nd May, the Grand Chamber will hand down judgment in Scoppola v. Italy (N° 3) concerning a prisoner’s right to vote. The case concerns the applicant’s disenfranchisement following his criminal conviction. The Defamation Bill - one way and another, this bill has been a long time in gestation and a very good analysis may be seen at Inforrm's Blog. A new "serious harm" test will be introduced. The common law defence of "justification" will be replaced with a defence of "truth." A new statutory defence of "honest opinion" will replace "justification." There will be a new defence of "responsible publication on a matter of public interest" and a new defence of qualified privilege relating to peer-reviewed material in scientific or academic journals. More court reports will become covered by absolute privilege. The statutory presumption that libel actions will be tried by a jury is to be removed. (The last such jury trials was in 2009). The rather archaic Slander of Women Act 1891 will be repealed. Explanatory Notes for the bill are available. 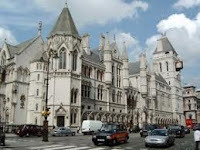 See also UK Human Rights Blog (20th May) - How will the defamation bill protect free speech? 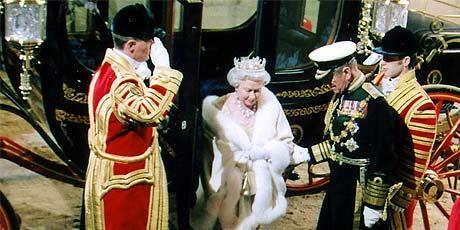 The Queen delivered the Queen's Speech in the House of Lords. Details of the speech are available via the No.10 Downing Street website. 19 Bills are referred to in the Speech and these include a Crime and Courts Bill; Defamation Bill; House of Lords Reform Bill and a Justice and Security Bill. More details of the Bills may be seen at The Guardian "All the Bills and what they mean." See also "Plans for secret hearings in civil cases brought forward" and "Overhaul of libel law"
Reform of the House of Lords has been the wish of reformers for a very long time - as discussed on an earlier post on this blog - 20th May 2011. See also the earlier posts on the Justice and Security Green Paper. 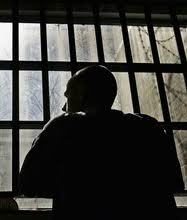 The prolonged police detention of mentally-ill man without adequate medical care violated his Convention rights - M.S. v. the United Kingdom (application No. 24527/08). In a judgment which is not final, the Fourth Section of the European Court of Human Rights held, unanimously, that there had been a violation of Article 3 (prohibition of inhuman or degrading treatment) of the European Convention on Human Rights; it held, by a majority, that there had been no violation of Article 13 (right to an effective remedy) of the Convention. The case concerned the detention of a mentally-ill man in police custody for more than three days. The Court held in particular that the applicant’s prolonged detention without appropriate psychiatric treatment had diminished his human dignity, although there had been no intentional neglect on the part of the police. 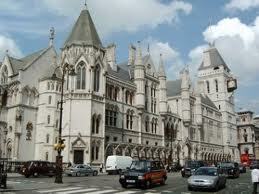 On 19th April Law and Lawyers posted on Pesky Time Limits and Abu Qatada. In that post it was argued that when a judgment was handed down on 17th January, it would be 17th April when the 3 month time limit for a party to request a reference to the Grand Chamber would expire. (Such references are permitted by European Convention on Human Rights Article 43). This view was based on the court's own case law - 5th section of the E Ct HR in Otto v. Germany. 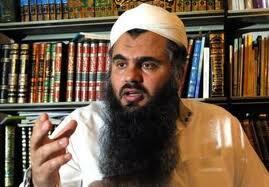 Abu Qatada lodged his request for a reference on 17th April. A five judge panel of the European Court of Human Rights has held that he was in time. This is, of course, a finding against the British government which insisted that the time limit expired on 16th April. Part 3 of the Legal Aid Sentencing and Punishment of Offenders Act 2012. 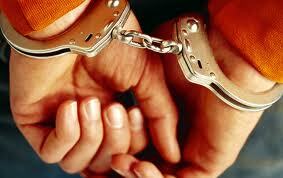 (LASPO) deals with Sentencing and Punishment of Offenders. Part 3 divides into 9 Chapters which cover a very considerable range of criminal justice issues: 1. Sentencing; 2. Bail; 3. Remands of children otherwise than on bail; 4. Release on licence; 5. Dangerous Offenders; 6. 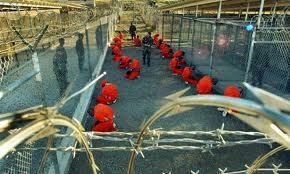 Prisoners; 7. Out of Court disposals; 8. Rehabilitation of Offenders; 9. Offences (including more legislation on the use of reasonable force in self-defence). The 9 Chapters cover sections 63 to 141 and bring into play Schedules 9 to 27. Previous posts on this blog have considered LASPO Part 1, Part 2, Part 3 Chapter 1 and Part 3 Chapters 2 to 8. This post is the final one of this series on LASPO and looks at Part 3 Chapter 9 where a number of new criminal offences are created. I hope that this series will give the reader at least an overview of this very detailed and far-reaching legislation. Part 3 of the Legal Aid Sentencing and Punishment of Offenders Act 2012. deals with Sentencing and Punishment of Offenders. Part 3 divides into 9 Chapters which cover a very considerable range of criminal justice issues: 1. Sentencing; 2. Bail; 3. Remands of children otherwise than on bail; 4. Release on licence; 5. Dangerous Offenders; 6. Prisoners; 7. Out of Court disposals; 8. Rehabilitation of Offenders; 9. Offences (including more legislation on the use of reasonable force in self-defence). The 9 Chapters cover sections 63 to 141 and bring into play Schedules 9 to 27. The previous posts on this blog have considered LASPO Part 1, Part 2 and Chapter 1 of Part 3. This post is an overview of Chapters 2 to 8. Part 2 of the Legal Aid Sentencing and Punishment of Offenders Act 2012. deals with some aspects of Litigation funding and Costs. It is vital to note from the outset that LASPO is by no means the full story. Other reforms, not requiring primary legislation, are in the pipeline including amendments to Civil Procedure Rules. The international law firm - Kennedys - views the changes in LASPO as part of an integrated package of reforms - (see Kennedys - Liability Brief - March 2012). Downloadable from this last link is a Briefing Paper which contains a very useful diagram illustrating the reform package. General: Part 1 of the Legal Aid Sentencing and Punishment of Offenders Act 2012. deals with Legal Aid. The 43 sections of Part 1 deal with both civil and criminal legal aid. Schedule 1 (Civil Legal Aid) is of central importance. Most of the provisions of the Act come into force on such day as the Lord Chancellor (pictured) or the Secretary of State may appoint by order. In many ways, the Act is a radical rethink and is designed to save some £350m per year on legal aid. The Legal Services Commission will disappear to be replaced by a Director of Legal Aid Casework ('the Director') - a civil servant appointed by the Lord Chancellor. The Act offers the Director some independence but only in respect of individual case decisions. Whether this arrangement will prove to be satisfactory remains open to question. Civil servants are always influenced by the general ethos of the Department to which they are attached. The Act is a marked improvement on the original Bill since, due to significant pressure from interested parties, the government conceded on a number of important points such as the definition of domestic violence, the need for legal aid for certain appeals, removal of the idea of means testing police station legal advice etc. On this, see the article by John Wotton (President of the Law Society). For anyone who thinks that the return of a Labour government will mark a return to pre-LASPO days (or even better) see the article "Labour would rebalance the justice system." The Legal Aid Sentencing and Punishment of Offenders Bill received Royal assent and is now, therefore, the Legal Aid Sentencing and Punishment of Offenders Act 2012. Part 1 of the Act - dealing with legal aid provision - is, in my view, a disgrace. 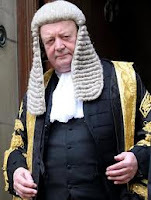 Lord Bach, the Shadow House of Lords Spokesman on legal aid has resigned - The Guardian 2nd May 2012. 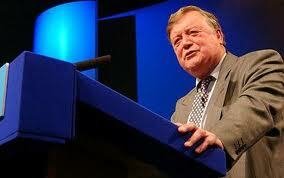 Lord Bach described the legislation as a "bad day for the British justice system". The former criminal barrister said he had stayed on to fight the bill but would now go to the backbenches.